Great running group in the Chingford Loughton area. Founded by Lindsey Tuley in 2014, who has a passion for helping people achieve their goals. Lindsey and her team have helped many people start training to run for the first time as well seasonal runners. They have done wonders the last few years and created a great community of runner at all abilities. "I wanted to create a place for everybody and anybody, so no matter what size, age, gender or personality you are, we welcome you to come and share your running experiences. Let's remove the barriers that so many of us face in having the courage to get out there and run!" 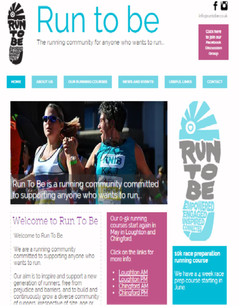 Visit Run to be website for more information on how to get on board!